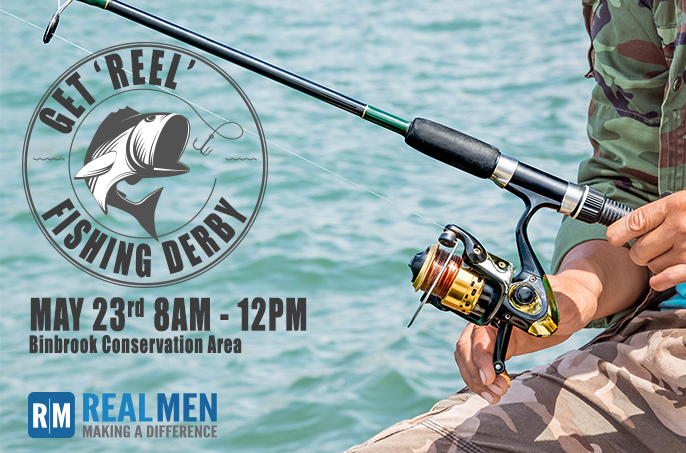 Join us for the Real Men Get ‘Reel’ Fishing Derby on Saturday, May 23 8AM at Binbrook Conservation Area. This is going to be a fun event open to the whole family and will end off with a BBQ! Bring your fishing tackle and bait (none supplied) plus, mandatory bucket. You may also wish to bring chairs, blankets, sunscreen, refreshments. Following the derby, stick around for the provided BBQ. NOTE: Those 18 years or older require a fishing license. Derby is $10 per person to a max of $20 per family. PAYMENT AT EVENT, CASH ONLY. The weather is changing again and that means fish are spawning. Many rivers, creeks and streams will be inundated with many different species of fish. It’s happening right here, right now in and around Hamilton. I have kept a keen eye on the happenings at the Niagara Whirlpool. Up until yesterday it was relatively quiet. On my second cast, my rapala was smashed by what I think was a salmon in the 6 to 10 kg range. Unfortunately I didn’t set the hook properly and after a five minute battle I lost it. 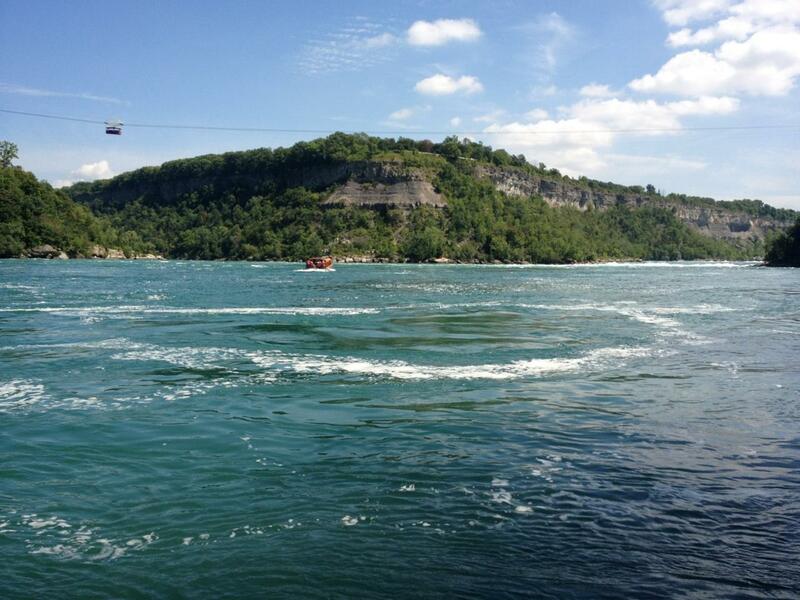 The Niagara Whirlpool is a 4200 year old natural whirlpool on the Niagara river. The currents here are strong and great caution must be taken when approaching. The water is usually about 7 meters lower in the morning when Ontario Hydro closes it’s gates, obstructing the normal flow of the river. This, apparently, is the best time to fish here. It makes for an exciting family event. Bring with you some food and drinks in a knapsack. Bring your heavier gear as well: raincoats, warm clothing, hiking boots etc… Be sure to pack appropriate fishing gear: a 25lb test line, a big fishing net and a rod and reel that can handle the monster fish in these waters. Access is easy and the fishing is great. The views here are spectacular. Who knows, you may, as I have, catch the biggest fish of your life. The first “Get Reel” fishing derby is in the books. 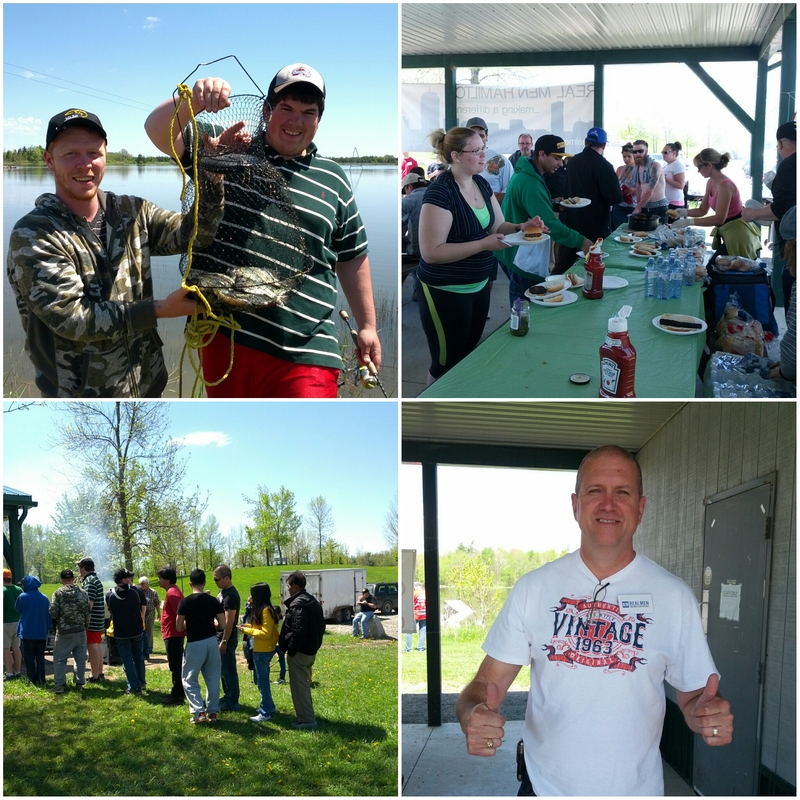 We had just under a hundred anglers come out and enjoy a fun day of fishing with friends and family on what was the first beautiful sunny day in May. Before the park opened its gates there was a line up of cars with eager anglers ready to find a spot and wet a line to kick off the derby. Anglers from as far off as Toronto showed up to fish in the derby. It was great meeting and talking to many at the derby. A lot of smiles and laughs were had throughout the day. 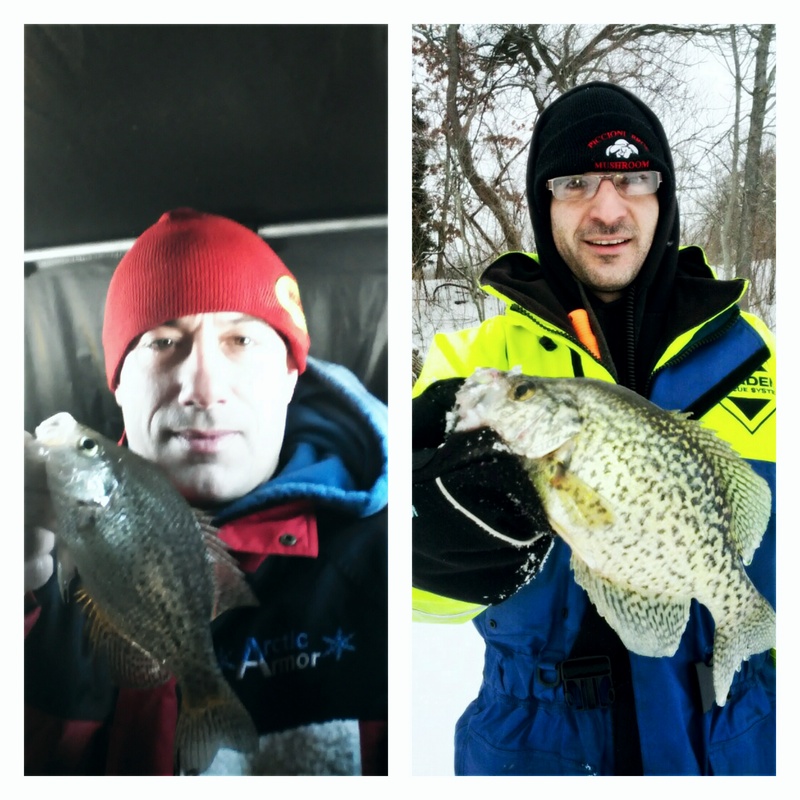 The target species was crappie. One angler, however, kept catching perch. Unfortunately perch did not count towards the draw prize. He had a great sense of humor about it though. Towards the end of the derby, with the hot sun warming up the water, the crappies finally turned up and a few anglers managed to catch a mess of fish with minutes left in the derby. Thanks to our wonderful sponsors, there were many prizes to give out. It made for a great atmosphere. Some anglers who won multiple prizes showed great generosity of spirit by giving some away to the younger kids who were not so lucky. I would like to thank everyone who participated in the derby. 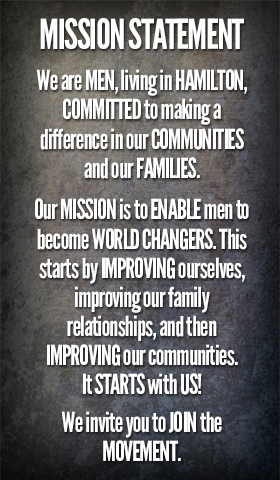 We look forward to seeing you at the next one. A big thank you to all the volunteer staff who made the day a success. It would have not been possible without you. Lastly I would like to acknowledge our wonderful sponsors who donated the prize that were given away. Bills Bait and Tackle, Boston Pizza, Bennett’s Apples and Cider, Marcie’s Cookies, Binbrook Conservation, Fishing World, Frosty’s Fish and Chips in Dundas, and Living Hope Christian Assembly. Thank you for your support. Join us for our first Real Men Get ‘Reel’ Fishing Derby on MAY 24 8AM-NOON at Binbrook Conservation (5050 Harrison RD, Binbrook). It’s going to be a great day for the whole family including a BBQ to follow. Learn some tips on how to fish for beginners. Catch as many crappies as you can for a chance to win more prizes! (both adult and child categories). This is a Live release, shore fishing only event. Anglers are required to bring a pail. Tickets are $5 per person (max $15 per family) and includes the BBQ. Park entrance fee is NOT included. Tickets can be purchase at the info centre beginning May 3, and will also be for sale at Bill’s Bait & Tackle Shop. Please Note: All adults 18+ must have a valid fishing license to fish legally. Purchase a license from a Canadian Tire store or from Bill’s Bait & Tackle Shop. As our city grows and competition for good fishing increases, it may seem like we have to travel farther and farther to enjoy what once was available right here on our own doorstep. That couldn’t be farther from the truth. There is still great fishing in Hamilton! 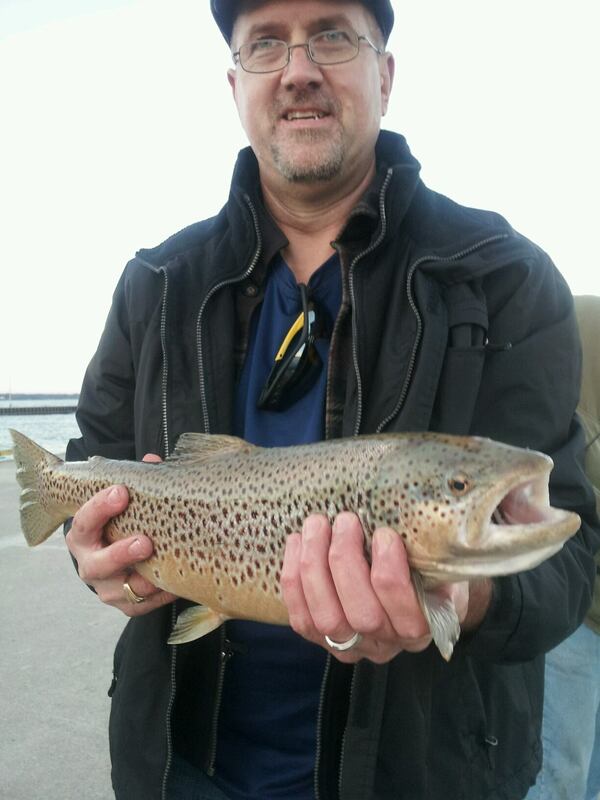 The piers at the Burlington Canal offer some of the greatest fishing I have ever encountered. Recently, I fished there and had great success, as did many other anglers at this convenient venue. We landed some BIG sheephead, salmon, brown and rainbow trout. Some of these were in excess of 15kg! 2013 was, supposedly, a slow year for fishing there. REALLY? I am so looking forward to 2014. It is such a great and inexpensive way to spend an evening. The views are spectacular and there is plenty of room. There are people of all ages and they are friendly and accommodating and the fishing is world class! I was able to learn a few tricks of the trade and now I can fish there both day and night. Hey, if the fish are willing, so am I. Are you? Head down and check out the fishing. Ever heard of the Crappie? It’s a great little fish to catch during the ice season. These fish can be found all over Southern Ontario, and are great eating! The nice thing about Crappie is they school up in numbers, so if you can find them, they’re easy to catch. Binbrook Conservation is a nice reservoir that holds great numbers of Crappie. Targeting them in 15 to 20 feet of water should put you on the path to catching a few fish. All you’ll need are a few jigs, tipped with minnows, and you’re all set. Try varying depths off the bottom to find the proper area to catch them. If you have kids, this is a great way to introduce them to ice fishing. Crappies are willing biters, and will keep kids interested. Your kids won’t get bored! It’s a great way to spend time with your family, and make memories that will last a lifetime. Think fishing season is over?… Think again! Fall is over and winter is upon us. For most people, this means the fishing season is probably done. I’m here to tell you that it’s not! Some of the best fishing happens now! A number of species are fattening up for the winter. This means they are hungry and willing to eat a nice sized offering you present them. Walleye, Crappie, and Perch come to mind. Does the thought of winter with snow and ice get you feeling blue? That used to be me, but then I tried Ice Fishing! That’s right, standing on frozen water, fishing through a small hole… LOL. 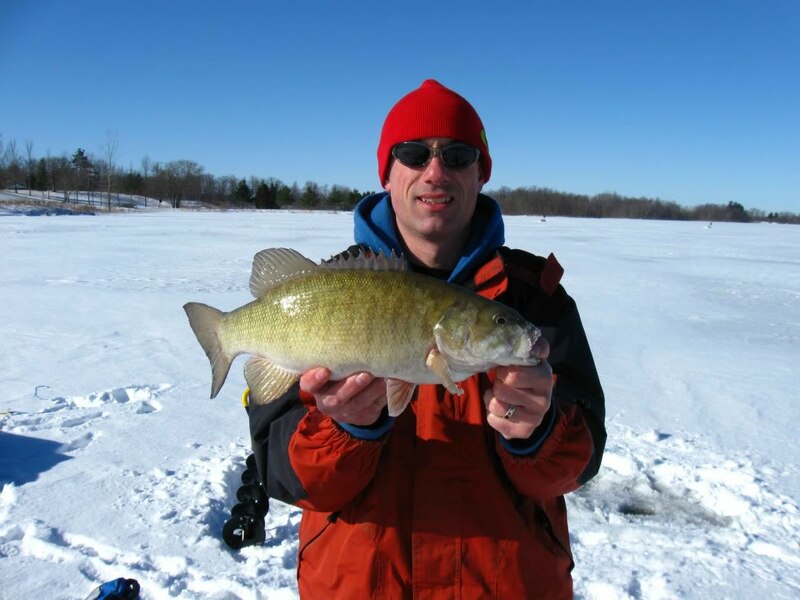 Instantly catching fish with friends and family took all the doldrums of a long winter away and brought with it the excitement to bring on the cold and ice for a fun winter of ice fishing. If you’ve never tried it, I encourage you to give it a try. We’d love to meet some of you guys out there and experience the joy fishing can bring: meeting new people and building friendships. Stay tuned for some exciting news and dates for ice fishing events coming soon.